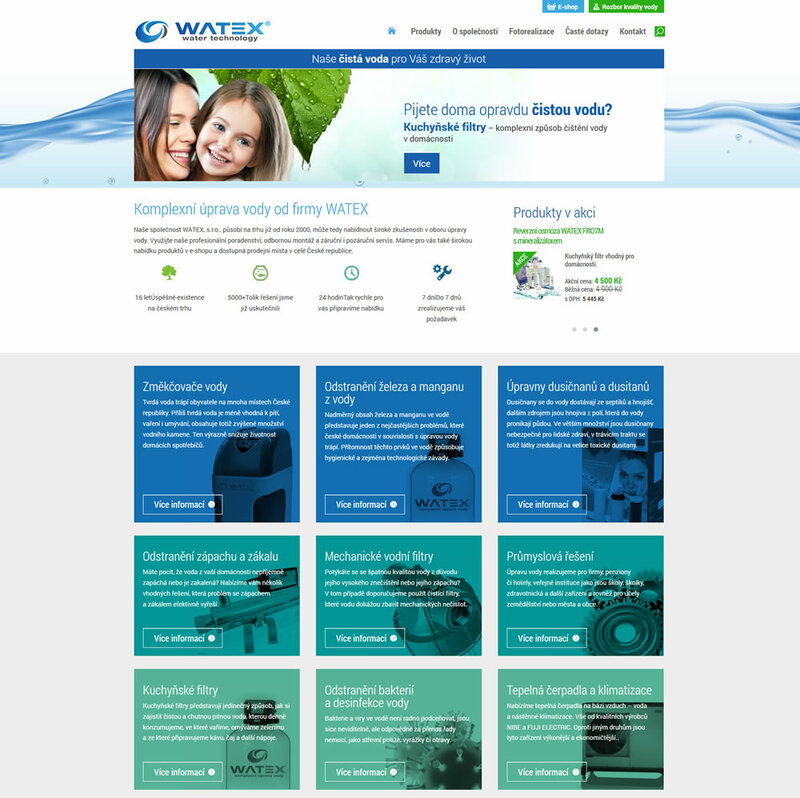 We launched a new company Web site for Watex, company which dedicated to water adjustments for households and businesses. On website there is also e-shop. One of the main goals of the new website was to improve ergonomic of the Web site so customers can quickly get to the information required, and at each step, solution is offered (call to action). Based on this requirement, we designed a modern design and simple site structure, in which the customer can easily orient. E-shop is now logically organized, allowing transparent purchase. We have prepared and modified interesting texts about the problems that educate customers and completed with a high-quality photographs that well illustrate the issue. The site meets all the criteria of modern websites, has a responsive design, contains keywords and all texts are adapted for SEO purposes.